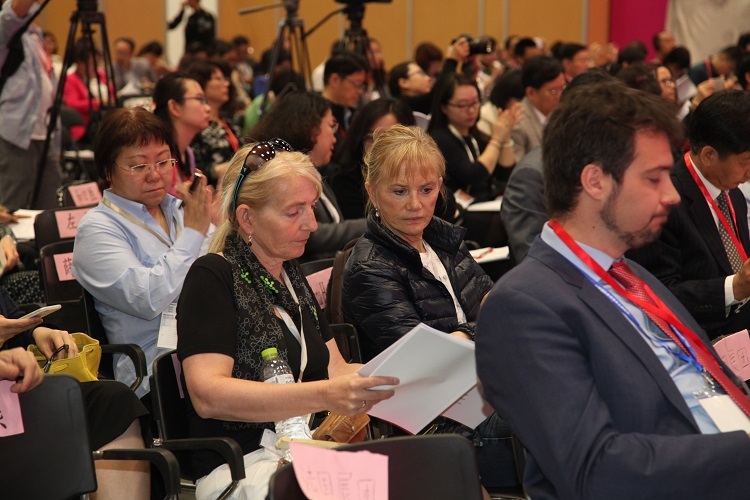 In the morning of May 3, 2016, the Opening Ceremony of the 5th China International Senior Services Expo and The 5th China Senior Service Development Forum was held in China National Convention Center in Beijing. The Expo was jointly hosted by Ministry of Civil Affairs and Office of The National Committee on Aging and jointly undertook by China Association of Social Welfare and Senior Service, Beijing Municipal Civil Affairs Bureau and Beijing Municipal Committee on Ageing, and more than 200 government departments, senior service institutions and brand enterprises in senior service field from 10 countries and regions and China attended the Expo. The Expo would continue the tenet of "Gratitude, Care, Service and Development" to comprehensively exchange advanced concepts, service management technologies and experience in overseas and domestic senior service fields, which has exhibited achievements and qualified products, being a grand meeting with innovated concepts and products. Executive Deputy Director of Office of The National Committee on Aging Wang Jianjun presided the opening ceremony of the Expo. Vice Chairman of the 11th CPPCC Zhang Meiying, Vice Minister of Ministry of Civil Affairs Gao Xiaobing, Deputy Mayor of Beijing Wang Ning and Director of International and Corporate Relations of International Federation on Ageing Gregory Ross Shaw attended the opening ceremony and made speeches, and Vice Chairman of the 11th CPPCC Zhang Meiying announced the opening of the Expo. In the speech, Vice Minister Gao Xiaobing pointed out that China, now has formed a preliminary multi-level senior service system based on home-based senior service, relied on community senior service, supplemented by institutions and combined with medical service and nursing service, and that senior service industry has not only played a role of vital importance in corresponding to population aging, and ensuring and improving people's livelihood, but also increasingly become an important power source to expand domestic demand, enhance employment, promote service development and promote economic transition and upgrading. China would build a moderately prosperous society which benefits all the Chinese citizens in a higher level in the former 20 years of the century. It is an urgent task to build a moderately prosperous society to actively correspond to population aging, accelerate to develop senior service industry and keep meeting demands on senior services in the increasing growth of the elderly population. Chinese Government would carry out the development concept of innovation, coordination, green, opening and sharing in accordance with the principle of intensifying guidance, monitoring and supports, social subjects widely participating and competing, market allocating resources, and giving play to basic functions of families and individuals, greatly promote reform to senior service supply, comprehensively open senior service market, and firmly build a senior service system suitable for population aging progress, consistent with the target of building a moderately prosperous society and coordinated with the new normal of economic development to improve elderly health and pension level and ensure that the elderly can share achievements of reform and development. She also hoped to learn about and refer to experience in developing senior services in other countries and regions through the China International Senior Services Expo, learn from others' strong points to offset our weakness, reform and innovate, and compile a new chapter of development of Chinese senior service industry. 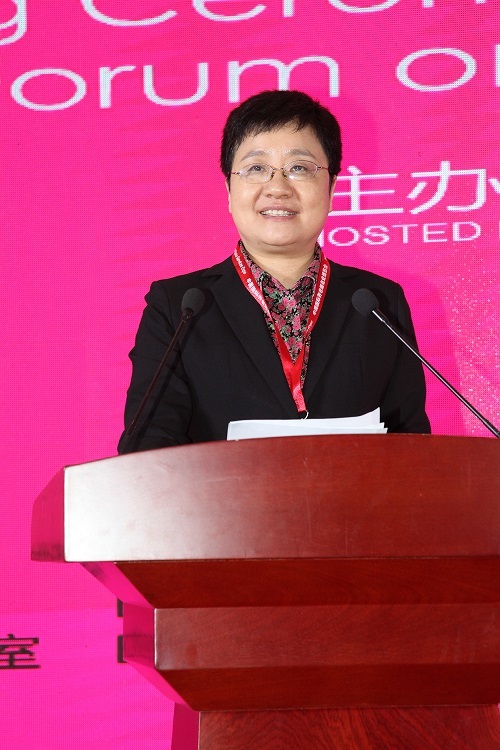 In the speech, Wang Ning, the Deputy Mayor of Beijing, introduced the work idea of Beijing Municipal Government carefully carrying out the development concept of innovation, coordination, green, openness and sharing and exploring to build a senior service system with Chinese characteristics during The 13th Five-Year Plan. 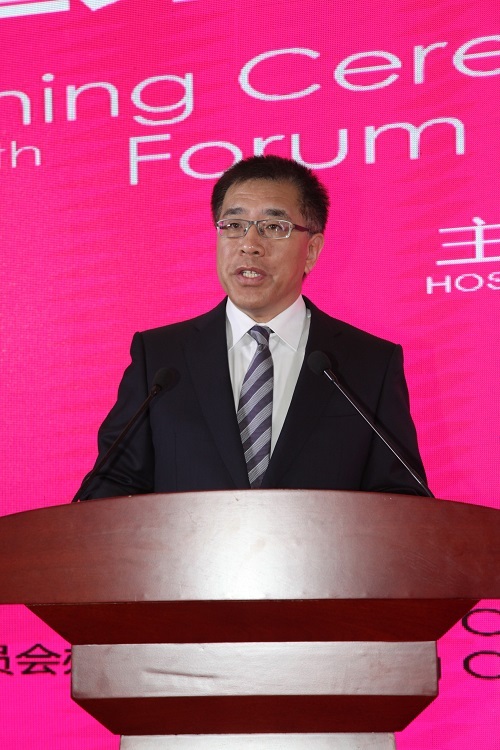 He believes that the Expo would be a grand meeting full of innovated concepts, abundant contents and plenteous achievements, being a grand event in promoting development of senior service industry in Beijing. 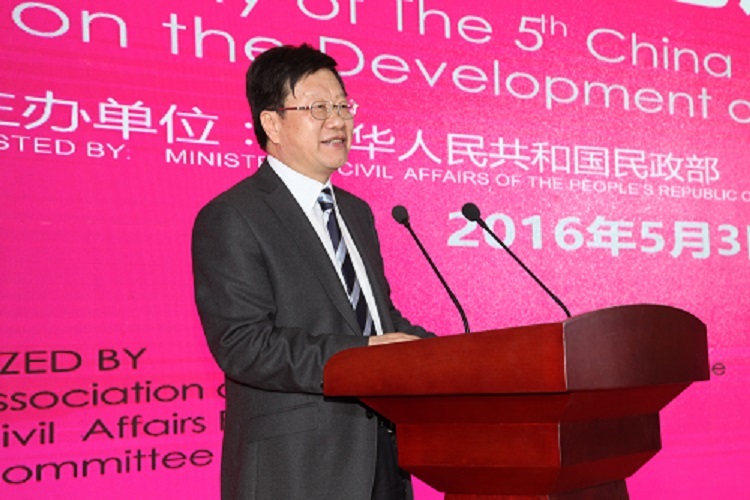 Finally, he expressed his sincere wish for a complete success of The 5th China International Senior Services Expo. In the speech, Gregory Ross Shaw, Director of International and Corporate Relations of International Federation on Ageing (IFA) spoke highly of the fact that China International Senior Services Expo has an increasingly larger influence on the whole world, has attracted a large amount of overseas and domestic sponsors and exhibitors, and is now rapidly becoming a grand meeting which should not be missed in global senior service industry. Guests presented at the opening ceremony also include Deputy Mayor of Beijing Wang Ning, Vice Governor of Heilongjiang Province Sun Yongbo, Chairman of China Association of Social Welfare and Senior Service Liu Guanghe, Chairman of China Silver Industry Association Chen Chuanshu, Standing Committee Member of the 12th NPC Standing Committee, Deputy Director of Education, Science, Culture and Public Health Committee and Chairman of Chinese Preventive Medicine Association Wang Longde, Standing Committee Member of the 12th NPC Standing Committee and Chairman of China Association of Social Security Zheng Gongcheng, Chairman of China Social Insurance Association Hu Xiaoyi, Director of International and Corporate Relations of International Federation on Ageing Gregory Ross Shaw, Chairman of International Association of Gerontology, Chairman in Northeast Asia of International Council of Social Welfare and Chairman of Korean Association of Social Welfare Heuong Bong Cha, Counselor of Health and Social Affairs of French Embassy Benoît Sevcik, Commercial Investment Counselor of French Embassy Phillippe Bardol, Consul of the Consulate-General in Guangzhou, Director of Medical Treatment and Public Health and Life Science in South China Gareth Taylor, Chairman of Canadian Association of Elderly Nursing Veronique Boscart, CEO of MGEN Jean-Louis Davet, Dean of Davis School of Gerontology of University of Southern California Pinchas Cohen, Chairman and General Manager of Medical Treatment Japan Co., Ltd. Akihiko Terada, etc. The 5th Forum of China International Senior Service Development took "Wisdom and Strength Cohesion, Innovated Service, Everyone Sharing and Harmonious Development", and has invited overseas and domestic government departments and experts and scholars to actively discuss about development trend and national policy supports of Chinese senior service industry from a macro perspective; how to refer to international experience to explore the path to promote development of senior service. Standing Committee Member of the 12th NPC Standing Committee, Deputy Director of Education, Science, Culture and Public Health Committee and Chairman of Chinese Preventive Medicine Association Wang Longde interpreted Chinese policies related to combining medical service and nursing service, explained relevant responsibilities of government, society and individuals, and also introduced knowledge related to health care; Standing Committee Member of the 12th NPC Standing Committee and Chairman of China Association of Social Security Zheng Gongcheng introduced government policy supports to home-based senior; Chairman of China Social Insurance Association Hu Xiaoyi introduced development of endowment insurance industry in the early years of The 13th Five-Year Plan; Vice Governor of Heilongjiang Province Sun Yongbo introduced the dual pressures of population aging and economic difficulties in the development of senior service industry, trying to explore for a new mode of migrant pension and actively creating a concept of new format integrated with development and actively practicing; Director of Beijing Civil Affairs Bureau Li Wanjun introduced the innovated practices of Beijing Municipal Government leading and encouraging social force to participate in senior service works, greatly developing community and home-based senior services, and promoting development integrated with medical treatment and pension to build a senior service system with the characteristics of the capital; Chairman in Northeast Asia of International Council of Social Welfare and Chairman of South Korean Association of Social Welfare Che Xingfeng introduced significance of elderly affinity industry in the global population aging time; Counselor of Health and Social Affairs of French Legation in China Benoît Sevcik introduced French policy researches in senior services and the fact of searching for new mode and opportunities for Sino-French cooperation by constantly improving and adjusting senior services; Dean of Davis School of Gerontology of University of Southern California Pinchas Cohen introduced the strategy of the most advanced science and technology supporting personalized healthy senior services; Forum speeches have provided intellectual support and policy references to promote to build a social senior service system with Chinese characteristics and promote scientific development of Chinese senior service industry. 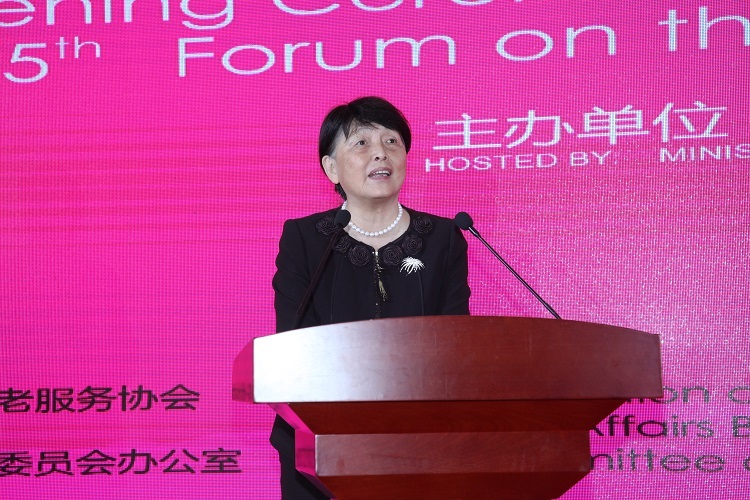 The Forum was hosted by Yu Jianliang, the Director of Division of Social Welfare and Charity Business Promotion of Ministry of Civil Affairs. Standardized construction pilot units of senior service institutions from different provinces (cities) all over the country, provincial and municipal associations, brand enterprises and cultural education institutions gathered in the Expo and Forum to actively discuss how to create senior service brands with Chinese characteristics and promote to improve industrial service quality. 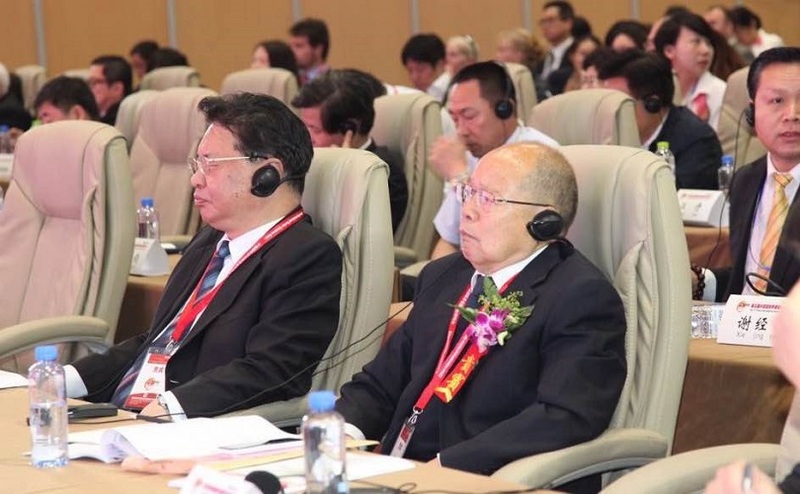 The Heilongjiang Provincial Government held "Special Promotion Conference for Senior Service Cooperation", and organized project negotiation and investment attraction on site.